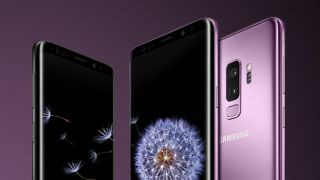 We've heard the rumor that Samsung's next flagship could have a triple-lens rear camera setup, but now it appears that the latter might only be featured in one of three new Galaxy S10 models that will be released in 2019. According to ETNews (by way of noted leaker IceUniverse), Samsung is planning to launch three new S10 devices in the first half of next year, each sporting a different rear camera array. The report states that the first model, codenamed 'Beyond 0', will feature a 5.8-inch display with a single camera setup, much like Samsung's current Galaxy S9 smartphone. That phone will reportedly be followed by another 5.8-inch model, codenamed 'Beyond 1', which is said to sport a dual-lens camera array on its rear. And finally, the previously reported triple-lens camera setup is said to belong to Samsung's upcoming Galaxy S9 Plus successor (codenamed 'Beyond 2') , which will apparently boast a 6.2-inch display. Based on our translation of the original article, ETNews cites "multiple industry officials participating in the development of the next Galaxy S series" as its source, so we can probably take the news with a grain of salt for the time being. As for Samsung's long-rumored Galaxy X phone, the report states that while the South Korean manufacturer is not yet ready to launch its first foldable smartphone, the company is "rushing to develop it".